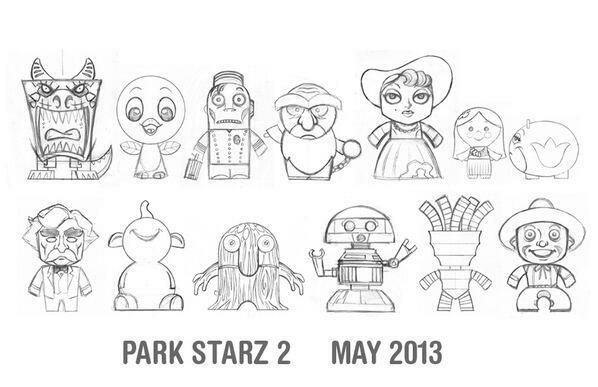 Artist Casey Jones tweeted this image of sketches of the characters from Park Starz 2. It’s an interesting behind the scenes look at all the characters. We are so excited for this next series! May 3rd, get here faster! Man, I would love to have this sketch on a white T-shirt! Gus looks better with the chain. I may have to add one myself. Just noticed that the sketch doesn’t show the Dutch girl, instead it’s an Hawaiian girl. Ooh, could that be in PS3?